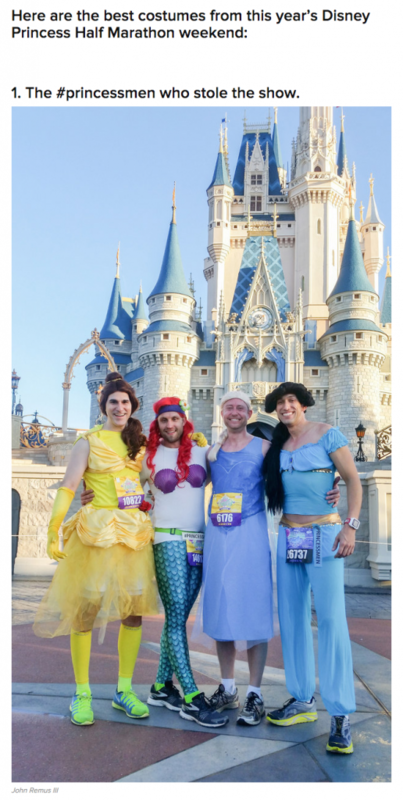 Home / Posts Tagged "half marathon"
It’s already been a year since our appearance as the #PrincessMen at the Disneyworld Princess Half Marathon weekend in Orlando. And while this year was much smaller than last year in terms of the size of our group, it was arguably a race we were looking forward to even more. Planning this year’s race was somewhat tricky in the sense that, well, Life happens. And what I mean by that is 50% of last year’s group wasn’t going to be attending. 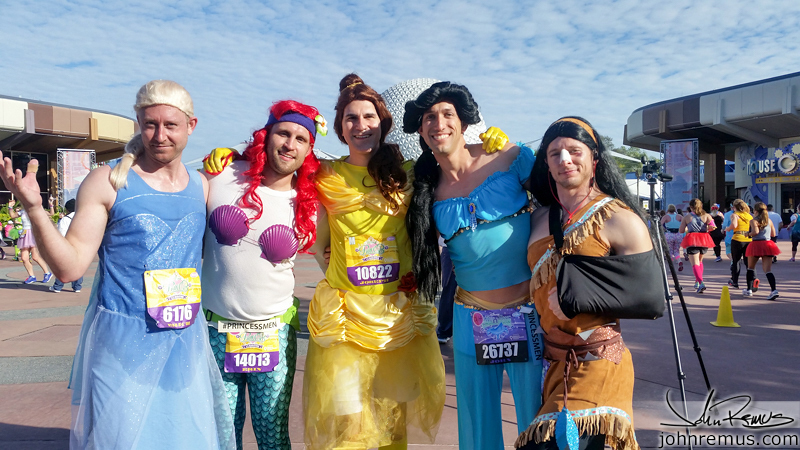 This was a huge disappointment for me because I knew how much the other runners were looking forward to our return. As I wrote last year, a lot of ladies out on the course found extra energy to continue running and paced with us for a portion of their race. And I knew they were looking forward to us coming back again. So Buzzfeed reached out to me several days after the race. 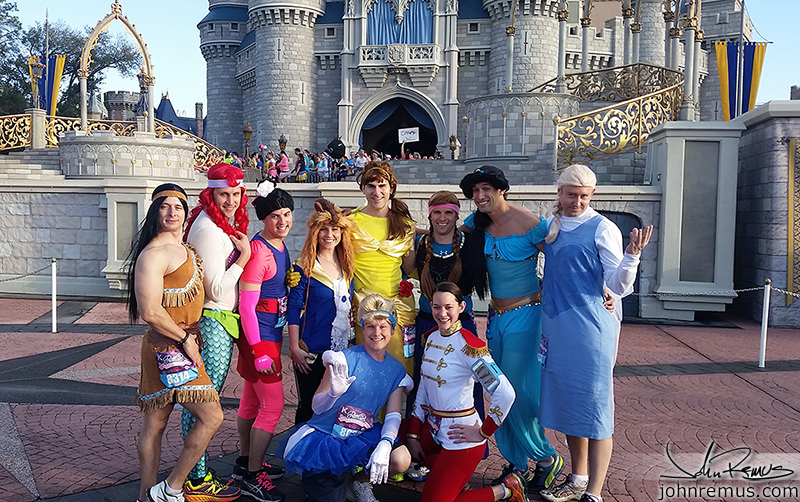 We were featured in the Top 10 list of Best Costumes from the race. We came in at Number 1! How awesome is that! Thanks for the support everyone! We’ll be back to full-strength in our numbers next year! 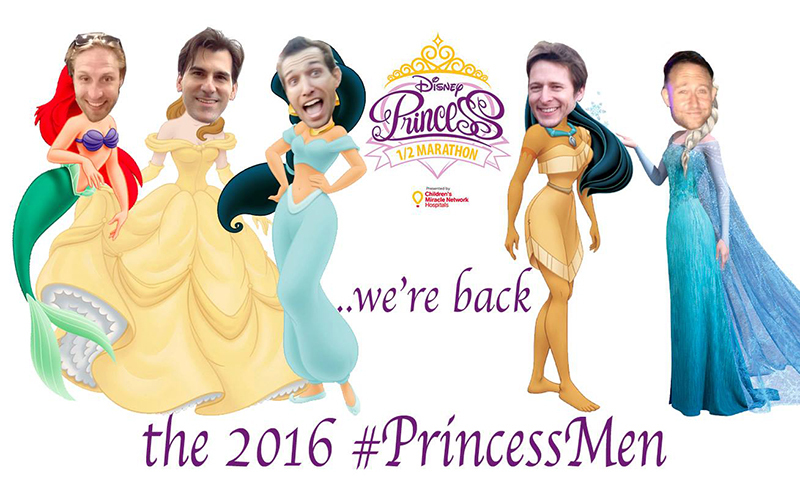 This year we would be missing Charming, Mulan, Anna, and Beast. For various reasons they couldn’t make the race work with their schedules. Whether it was due to travel during that timeframe. Scheduling and simply not having time to train. Or in the case of Charming, running elsewhere in the race and not with us this year. So this was going to be the group. Smaller, yes. But we were still going to have a great time.